1. 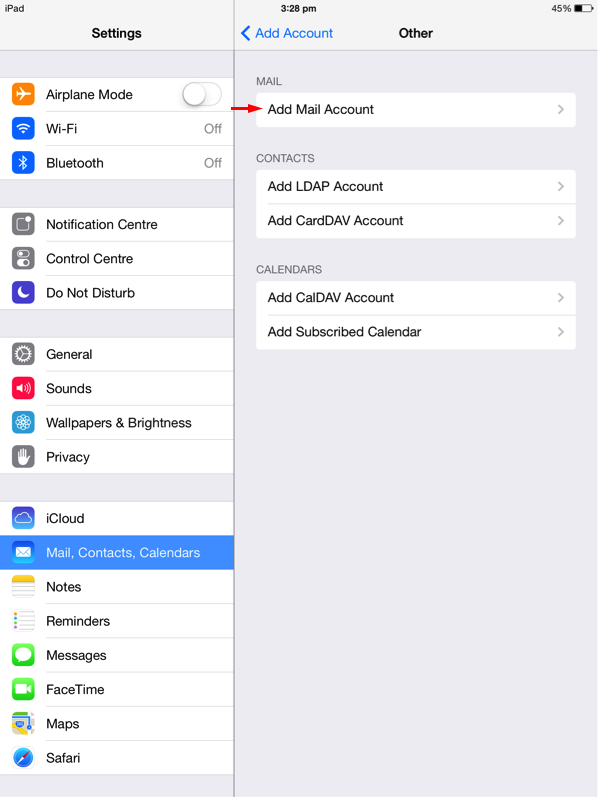 Go to Settings -> Mails, Contacts, Calendars -> Add Account on your iPhone/iPad. 3. 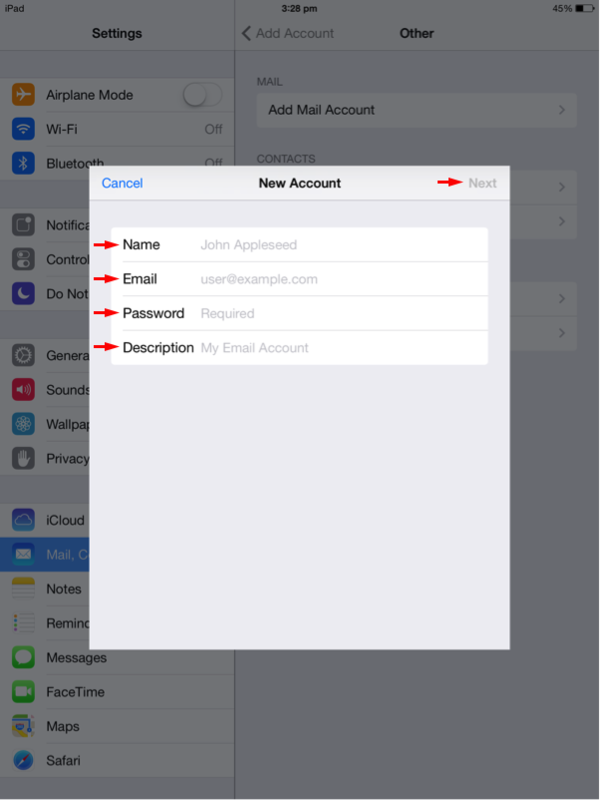 Select Add Mail Account. 4. 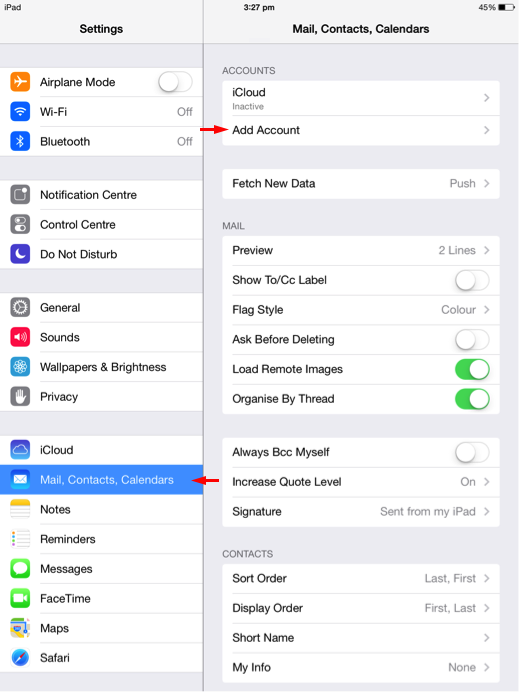 Enter your Name, Email Address, Password and Description then click on Next. 5. 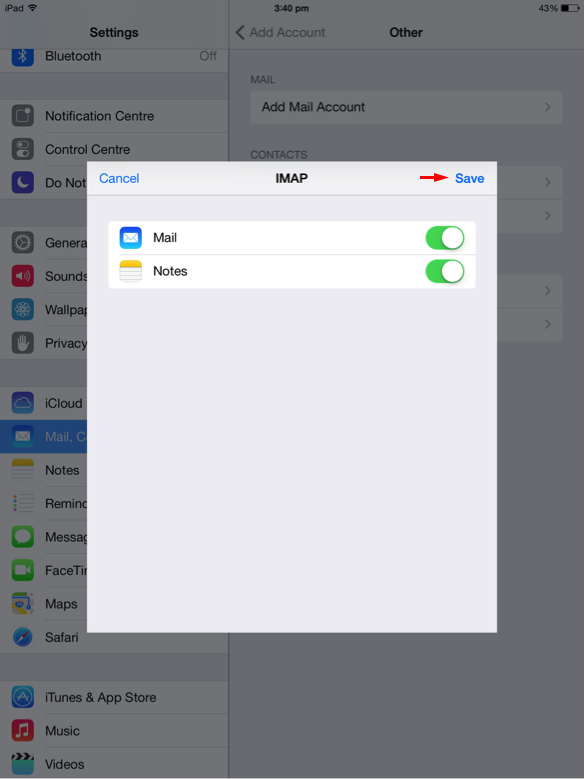 Make sure IMAP is selected. 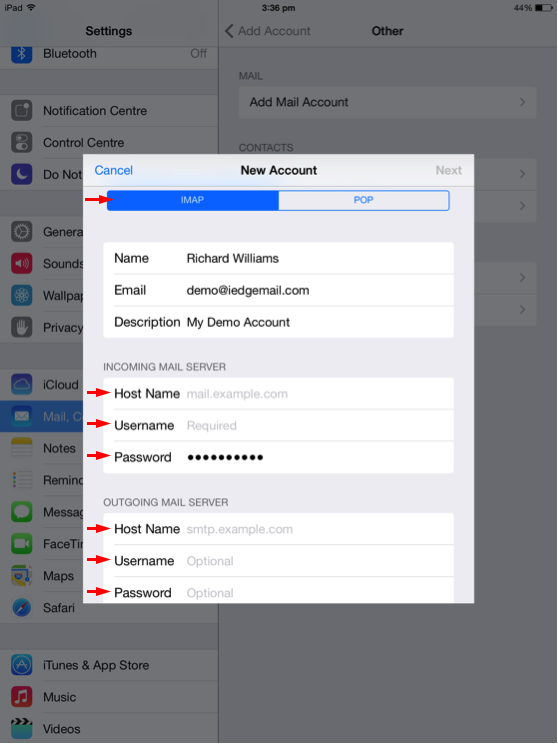 Fill in the Host Name, Username & Password for both incoming and outgoing mail server settings. 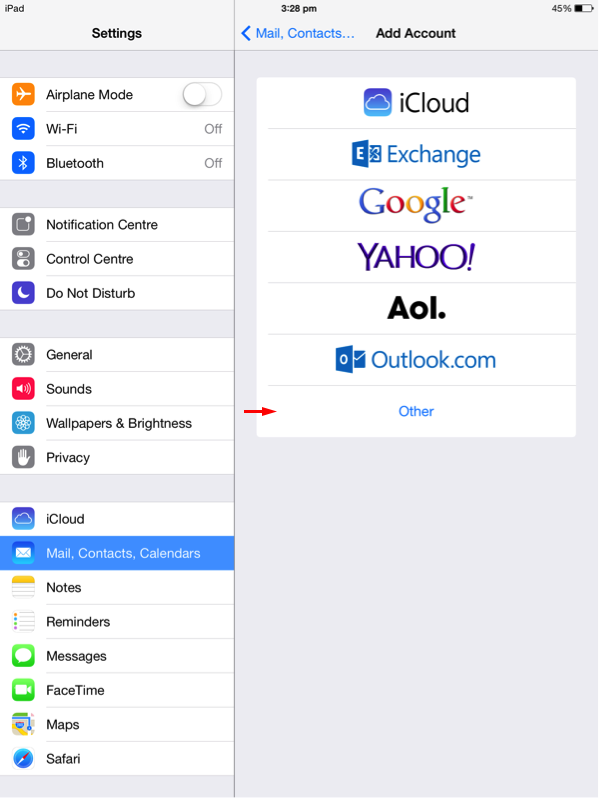 The Host Name is login.iedgemail.com, and the username is your email address. Once done, click on Next. 6. 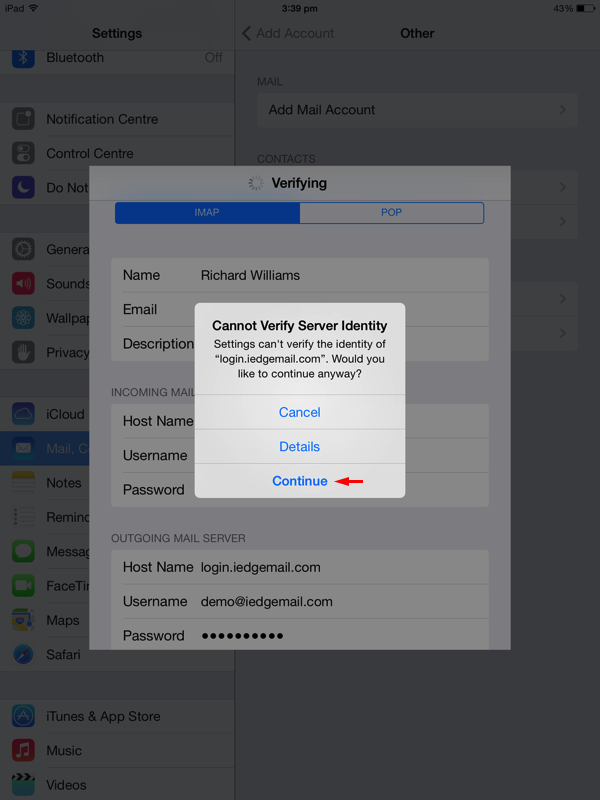 If you receive a prompt that says Cannot Verify Server Identity, click on Continue, otherwise proceed to the next step. 7. Click on the Save button to complete your setup.